M 1000 x 772px 2 Mb. L 2000 x 1543px 8 Mb. XL 4102 x 3165px 15 Mb. 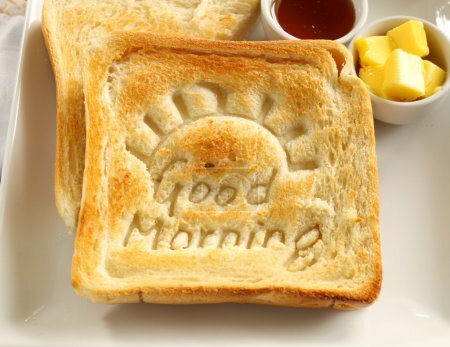 Slice of toast with Good Morning carved into it with butter and honey.